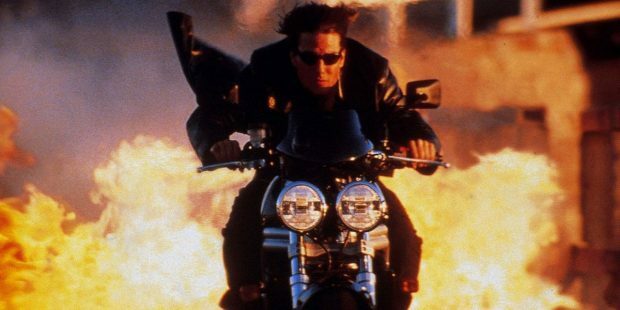 This weekend marks the release of the sixth installment of the decades-old Mission: Impossible series, otherwise known as the series of action flicks where Tom Cruise does insane stunts without a safety net because Scientology has instilled a God complex within him. 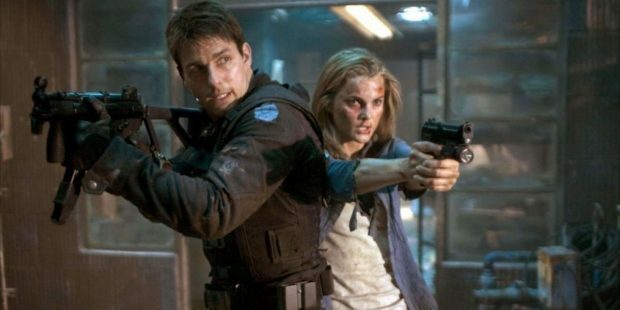 With the second film of the franchise from Christopher McQuarrie, Mission: Impossible – Fallout, now in theaters, we take a look back at the five films that came before and how they stack up against each other. Now, let’s give credit where credit is due. This is easily, by far, the worst installment of the franchise. But! It still has its well-deserved merits that mustn’t be forgotten. When we look at the Mission: Impossible series as we know it today — elaborate action set pieces and insane, high-wire stunts — that’s not what the first Brian De Palma film brought us. John Woo’s slow-motion filled, cheesy-as-hell sequel is what sets this new precedent. 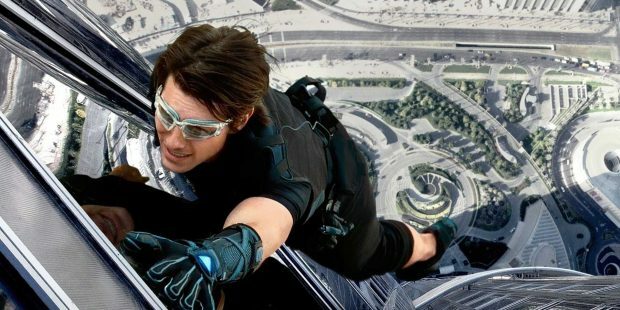 The entire film’s campaign hinged on the image of Tom Cruise — not Ethan Hunt, but the actor Tom Cruise — hanging off the edge of a rock cliff without any supports. From this point forward, he became known as the star who was willing to push the limits for his own stunts without a stunt double. This film is not good, not by a long-shot — it’s laughable, even — but it’s an important milestone nonetheless. Many folks consider this, at least before Fallout, to be the best installment. Brad Bird’s first foray into live-action is definitely a competent thrill ride that clips along at a nice pace, never lagging. I found, however, that most of the action is forgettable aside from the show-stopping Dubai Burj Khalifa sequence. My problem is it feels like the entire film hinges on that one spectacular set piece, leaving newly introduced characters, an under-utilized villain and a largely unremarkable mission and final fight scene to not engage nearly on the same level. What it does well is sustain the tone and self-aware humor that has become a staple of the franchise. What sets this one a notch above is director J.J. Abrams’ gritty take on the series, revitalizing it to become the bankable franchise it is today after the rather disastrous first sequel. This first feature from the filmmaker prompted Paramount to give him the keys to the Star Trek universe, and for good reason. He takes a big swing with establishing a much darker tone, while simultaneously coalescing the team — with Ving Rhames’ Luther and Simon Pegg’s Benji — as we know it now. At times, the proceedings perhaps lean a little close to being too self-important and serious, but there’s no lack of trying here. Keri Russell makes a strong addition, and the late Philip Seymour Hoffman gives us one of the franchise’s greatest and most memorable villains. This film also introduced Ethan Hunt’s love interest, played by Michelle Monaghan, who has a continued and important role in the series. The original Brian De Palma film is a true classic. 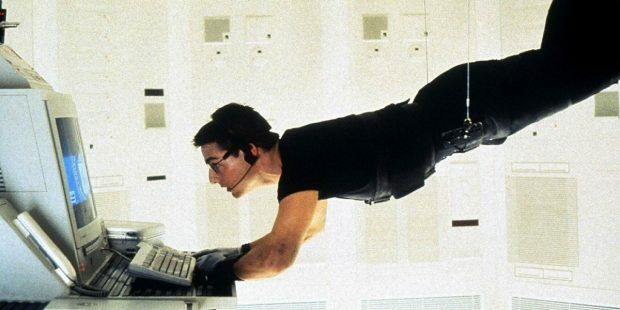 It doesn’t even feel like Mission: Impossible as the series is known today. 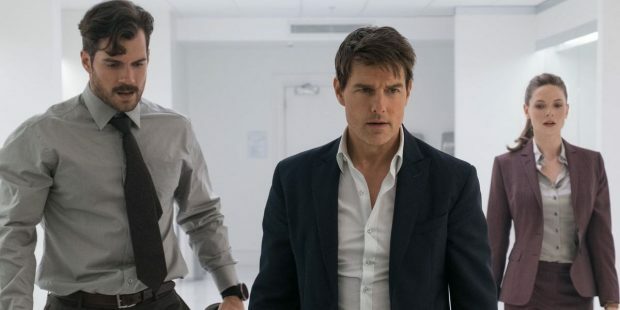 Tom Cruise isn’t jumping from airplanes and buildings yet, and it feels more like a grounded espionage thriller. But the masks get introduced, and, of course, the wire-hanging scene, which are both elements that the subsequent films both utilize and lovingly mock as the franchise evolves and becomes more self-aware. The final sequence involving a helicopter in a train tunnel is more in sync with what the franchise had in store, and gave us a hint of what was to come. 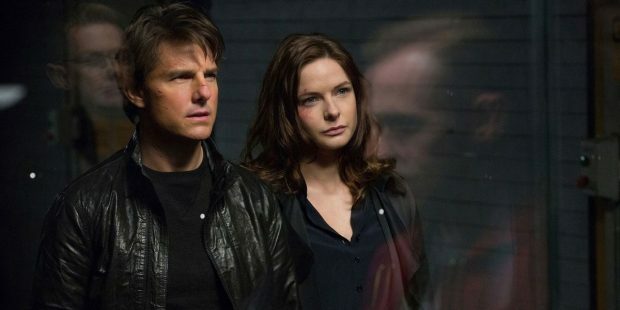 Christopher McQuarrie takes everything he set up in Rogue Nation and delivers on it in a very big way. This most recent installment is the best yet, the magnum opus of the franchise, and will stand as one of the best films of the year and one of the best action films ever made. It will make you watch any Marvel movie and scoff at its egregious use of CGI. Practical effects are in full command here, and it shows. Beyond the absolutely insane action sequences that impress on a whole new level, every single character gets a compelling arc and a triumphant third-act moment, and Henry Cavill gives us a villain to be reckoned with. In many ways, the film reminded me of The Dark Knight in its operatic storytelling. This should be the final installment —- it feels like it is —- but Tom Cruise and his invincibility complex will die making these movies.